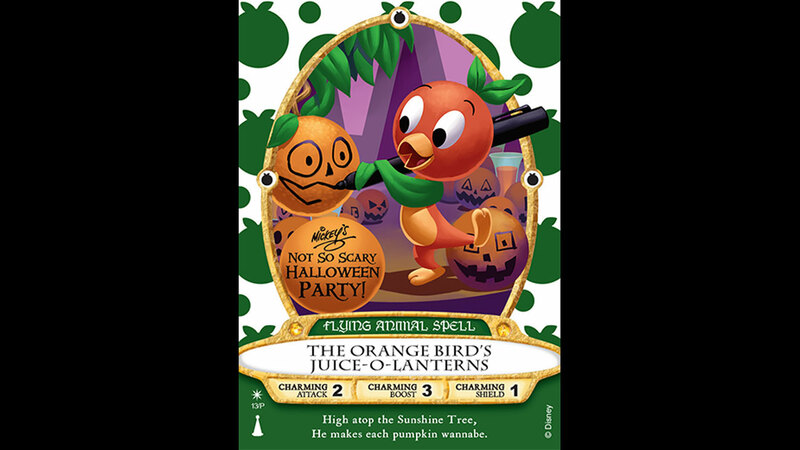 A brand new Orange Bird Sorcerers of the Magic Kingdom card will be available to guests attending the 2018 Mickey’s Not-So-Scary Halloween Party. As the storyline behind the card goes: During one of his walks through Adventureland, Merlin met the adorable Orange Bird. Merlin was so taken with the little fellow, that he created a brand new Sorcerers of the Magic Kingdom spell in his honor.